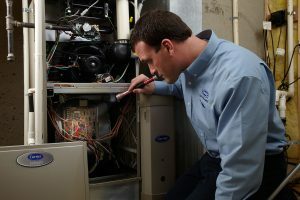 Whether you live near Gwinnett Place Mall, The Arena at Gwinnett Center or Lake Lanier, you can count on Cool Masters for reliable furnace repair in Duluth, GA. As a leading HVAC company, our team takes the time to go over our work to ensure you receive the quality service you deserve. Despite the hot summers, Duluth, Georgia receives it’s share of cold weather. We all remember the brutal winter storm we experienced in January of 2014. When the cold weather hits, you need to have a working furnace in your home. When is the last time you had your heating equipment inspected? Even if you don’t notice a problem with your furnace, you could be overpaying for your power bills each month. Any HVAC equipment that doesn’t receive regular maintenance will become less efficient overtime. Your heat pump and furnace will have to work harder to provide your home with the same amount of heat. This leads to increased power usage and higher energy bills. Our Duluth furance and heating technicians can examine your equipment to find any problems that could be making your system work harder. As your home for furnace repair Duluth, GA, Cool Masters Heating and Air is here to keep your equipment running properly all year long. Do you have an old, outdated system? It may be time to upgrade. We can analyze your home and help you choose the best unit. We will install it for you as well. With all the HVAC contractors in Duluth, you need a business you can trust. Cool Masters Heating and Air as worked hard over the years to build a strong reputation. Check out some of our online reviews and see why we are a preferred HVAC contractor! If you have any type of questions, concerns or comments, please give us a call or send us an email. Our team is available to assist you!